wolfSSL focuses on providing lightweight and embedded security solutions with an emphasis on speed, size, portability, features, and standards compliance. Dual licensed to cater to a diversity of users ranging from the hobbyist to the user with commercial needs, we are happy to help our customers and community in any way we can. Our products are Open Source giving customers the freedom to look under the hood. Why does a security company that focuses on embedded SSL and security products choose a wolf over any number of possible logo designs? The wolf was chosen to be part of the wolfSSL logo for several reasons: wolves like to live in free and open environments, they communicate and hunt in packs (like open source developers hunt bugs), and they are both lean and fast. 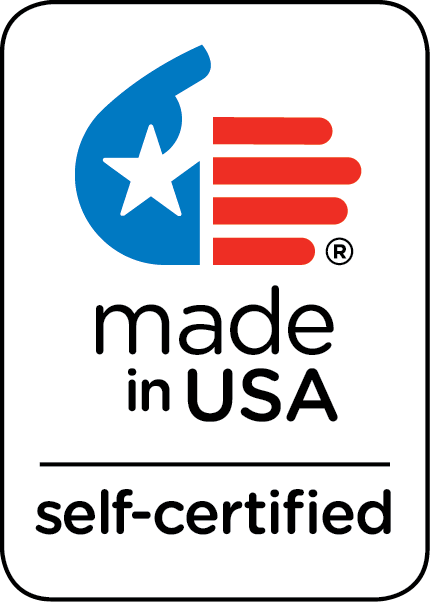 All of wolfSSL’s products are 100% made in the USA and have been since the company’s birth in 2004. wolfSSL as a company is based in Bozeman, MT, Seattle, WA, and Portland, OR. All product support provided by wolfSSL is from native English-speaking engineers. The genesis of wolfSSL dates to 2004, when Larry Stefonic and Todd Ouska realized there was no other open source, dual licensed embedded SSL library available. OpenSSL was available at the time, but many OpenSSL users wanted an alternative that was easily portable, smaller, faster, available under a clear commercial license, was equipped with a clean and modern API, and offered commercial-style developer support. Out of this market need, wolfSSL, complete with an OpenSSL compatibility layer, was born. The first major user of wolfSSL’s SSL library was MySQL, the world’s most popular open source database. Through bundling with successful and popular open source projects like MySQL, OpenWRT, Mongoose, cURL, and Ubuntu, wolfSSL has achieved extremely high distribution volumes and user adoption. Over 2 Billion connections are currently secured by wolfSSL. Since it’s founding in 2004, wolfSSL has developed a number of embedded security products. A short description of each can be found below. More detailed information on these products can be found on the products page. If you are unsure which product best fits your needs, please read Choosing the Correct wolfSSL Technology or contact us. We’re happy to help you choose the best product to fit your project. wolfSSL is a C-language-based lightweight SSL/TLS library targeted for embedded and RTOS environments, primarily because of its small size, speed, portability, and feature set. yaSSL is a C++ language based SSL library for developers more comfortable with C++. We recommend using wolfSSL when possible. wolfCrypt is a C-language-based embedded cryptography engine, offering low memory usage, optimized speed, high portability, and strong feature set. wolfCrypt FIPS is a version of wolfCrypt which has been FIPS 140-2 validated (Certificate #2425). Visit our FIPS FAQ page or contact fips@wolfssl.com for more information. wolfSSH is a small, portable SSH implementation currently in its early phases targeted for use by embedded systems developers. For security and vulnerability information and details, please visit our known vulnerabilities page. This page also includes details on well known CVE’s and how or if they affect wolfSSL products. Today, wolfSSL products are successfully used in both open source and commercial projects. wolfSSL and wolfCrypt are included in many types of network applications and devices, including smart devices on automobiles, IP phones, mobile phones, routers, printers, and credit card scanners – to name a few. As a matter of policy, wolfSSL does not disclose user company or project names unless those companies have publicly unveiled their use of our products. For a list of areas where wolfSSL products are used, please see our Case Studies page. For a list of Open Source projects in which our products have been included, please see our Community page. If your project is currently using wolfSSL, let us know! wolfSSL offers both consulting and support for our products. We work with customers and our community on feature requests, custom builds, ports, and can help with replacement of other embedded SSL libraries you may be using. We also offer consulting related to adding security to applications where our products are used. If you have any questions, please don’t hesitate to contact us. You can learn more about our consulting services, below. We can add additional features that you may need which are not currently offered in our products on a contract or co-development basis. We also offer porting services on our products to new host languages or operating environments. We will help you move from an outdated, orphaned, or overpriced SSL library to the wolfSSL embedded SSL library with low cost and minimal disturbance to your code base. The purpose of this program is to enable users who are currently spending too much on their embedded SSL implementation to move to wolfSSL with ease. You need to currently be using a commercial competitor to wolfSSL. You will receive up to two weeks of on-site consulting to switch out your old SSL library with wolfSSL. Travel expenses are not included. Normally, two weeks is the right amount of time for wolfSSL to make the replacement in your code and do initial testing. Additional consulting on a replacement is available as needed. You will receive the standard wolfSSL royalty free license to ship with your product. For those users who would like to learn more about the wolfSSL embedded SSL library and SSL/TLS in general, wolfSSL offers a training course. For more information, please read our blog post, here. If you are interested in learning more, please Contact Us and we will be happy to answer any questions you may have. wolfSSL believes that partnerships are one of the keys to success. As such, we have partnered with several companies, and are always looking for new partnerships. Please see our Partner Page for a complete list of our current partners. If you are interested in becoming a wolfSSL partner, please Contact Us to learn more.